Lynda focuses her practice on public finance. She has extensive bond/tax experience with a variety of industrial revenue bond structures, including variable and fixed-rate tax-exempt bonds, taxable convertible bonds (“Cinderella bonds”) and taxable notes. Lynda is skilled at finding ways to reduce costs for clients in bond financings. She has notable experience assisting growing companies in identifying and securing local and state incentives that can help bridge the “equity gap” that often proves a challenge for such clients. She has significant experience with both tax-exempt and taxable lease revenue bond structures and TIF financings. 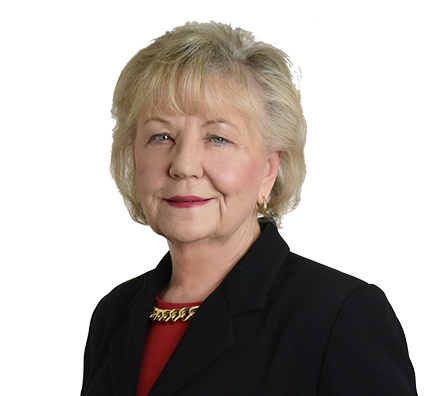 She is the lead attorney for numerous general obligation bond issues, as well as municipal and school district bond counsel engagements. Her experience in this area includes Recovery Zone Facility Bonds (RZFBs), Midwestern Disaster Area Bonds (MDABs) and other long-term financings, Revenue Anticipation Notes, Bond Anticipation Notes and Tax & Revenue Anticipation Notes, refundings and lease financing. Lynda worked extensively with the Wisconsin Department of Commerce (now Wisconsin Economic Development Corporation) to develop the regulations and procedures to implement RZFBs and MDABs in Wisconsin. She has been lead counsel on hundreds of bond transactions in several states totaling billions of dollars. She speaks frequently at seminars on a variety of public finance issues and is a member of the National Association of Bond Lawyers. Secured construction financing for new state-of-the-art manufacturing facility, including $700,000 in state tax incentives and $10 million in tax-exempt bonds.